I always hate Wizard... I thought it was too cool and trendy for me, who (especially as a kid) was always looking for the stuff no one else knew about. I greatly prefered the free newsprint 'Comic Shop News' (which I read religiously) for any upcoming news and interviews. I did buy an issue or two for ashcans or 1/2s or whatever, but I always felt dirty about it and didn't save them. I'm pretty sure they just asked their business partners which back issues they had extra stock of, then jacked the price of those up real high so they could get a good kickback. I've heard form dealers and con organizers I know that Shamus family at the time ran a back issue business as a side business and it wasn't other dealers stock they were concerned with, but their own and maximizing the profits and driving demand up for books they had in plentiful supply. Also of note, that side business did not deal in golden age books...hence no GA prices....Their price guide was a tool for market manipulation not a reflection of prices the market was producing and bearing at the time. Again, just hearsay, but from people who were active and connected buyers and sellers in the back issue market at the time. Anything's possible, but the kind of money Wizard cost to produce and, ultimately, made back in spades, would have made concerns about selling a few thousand back issues for thirty times what you paid look like a drop in the bucket. For the first time this issue, Wizard includes a detailed market report clearly showing Marvel holding 68% of sales for the month of August while DC holds about 20%. Of course, the majority of this is attributed to the "X-Mania!" caused by the release of X-Force #1 (with its five trading card variants). Of the Top 100 best selling books of September, the top 13 are all Marvel, with only Sandman Special #1, War of the Gods #3, and Legends of the Dark Knight #24 making the Top 20. Though DC has been completely ignored by Wizard prior to this point, both the new Market Watch section and the "Wizard Comic Watch" discuss the stir surrounding the upcoming release of Robin II: The Joker's Wild. According to the stats for the previous year included in the Market Watch section, Robin #1 was the second best selling book of September 1990, though, sadly, what beat it was McFarlane's Spider-Man #6. Wasn't even a key issue. Market Watch does go on to state that "The hot picks to look out for are pretty much dominated by DC Comics," and it goes on to talk about Batman vs. Predator, Robin, and Lobo. Of course, the rest of the Magazine doesn't discuss Batman or Robin at all. First rumblings of Valiant being a big deal in the Market Watch section, where we learn that the recent Magnus Robot Fighter back issues are selling as well as those of Deathlok, Robin, War of the Gods, Ghost Rider, and even Infinity Gauntlet. No emphasis is given to this fact. Wizard shaping the comic book market? So I've established after thoroughly examining the first two issues that there's a definite pro-Marvel bias in Wizard, to the extent that DC is entirely ignored, even with a sequel to the blockbuster 1989 Batman film in the works and a major marketing event (complete with those variant covers and holograms Wizard loves so much) in the form of Robin II: The Joker's Wild on the way, but something particularly weird happens in this issue. The lead interview for this issue is with Simon Bisley about Lobo (Yes! A DC property!! ), but Wizard didn't do it. It's "reprinted with permission from Blast! Magazine." So the bias grows more interesting. All this time, Wizard has had unrestricted access to Marvel's hottest talents, but the same isn't apparently true for DC. Is DC not allowing Wizard to talk to its people, or is Wizard choosing not to work with DC? Is Wizard biased in favor of Marvel because it truly likes Marvel better, because it's in Marvel's pocket, or because DC won't work with them? Whatever the case, when we talk about Wizard shaping the comic book market, the magazine is quickly becoming the voice of what is cool and what is not, and Wizard is barely talking DC at all. This is partially a reflection of the market, which is gaga over McFarlane, X-Force, and X-Men right now, but Batman is still a hot commodity with a major motion picture and animated series in the works (neither of which have been mentioned even once here), and Robin II should fit in perfectly with the creative marketing strategies Wizard has been worshiping in its pages as of late. Letter from the Publisher: Though there'd been some minor sprinklings of goofiness in the mag before, this is the first time Shamus seems clearly intent on establishing a comical persona for Wizard. In his letter column, he describes prank calling LCSes across the nation, asking them about Wizard magazine and when the next issue is coming in. He's quick to explain to his impressionable fanbase that there was nothing mean-spirited about this, of course. It hits just the right generically playful tone without possibly coming off as offensive. Wizard of Cards: In an interesting twist, the column is published far apart from the price guide this time, as the focus is entirely on sports cards and does not address comic book cards at all. "Filling Big Shoes," by Parick Daniel O'Neill: Interview with Erik Larson about taking over for McFarlane on Spider-Man. At this point, Larson is not yet big news and is still hoping for steady work. He also makes no mention of aspiring to publish his own characters. 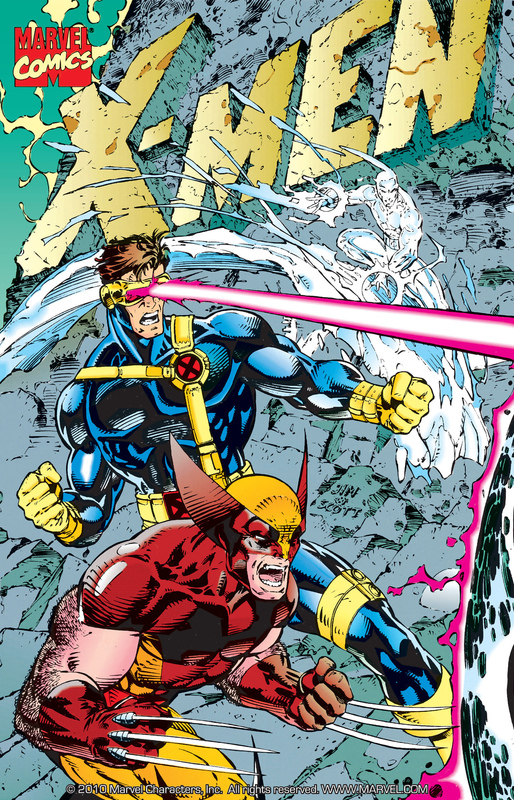 "Collecting Comics in the '90s," by Pat McCallum: Are movie adaptations good investments? No. "Simon Bisley: The Number of the Beast," by Gordon Rennie. Wizard's first ever focus on a DC character, and it's not even their interview. Reprinted with permission from Blast! Magazine. "Alternative Collections," by Nat Gertler: A surprisingly substantive article that discusses building collections, not based upon what's currently hot, but instead on things like favorite writers, foreign language editions, and even collecting by month/year of publication. Fun and inspiring to the classic comics collector. Wizard Comic Watch: Tim Drake actually gets some attention here, and apparently the New Warriors are a big deal, too. I had no idea. Market Watch: Sales data from both Diamond and Capital City (apparently Wizard is working with them again after their suspicious absence in issue #2) reveal a few interesting trends, the most fascinating of which is the growing interest in Magnus Robot Fighter and the declining interest in McFarlane's early work on Amazing Spider-Man and Hulk. Apparently, the prices haven't dropped, but they have flat-lined. Toying Around, with Brian Cunningham: Emphasis on the old Mego Figures, and they get included in the price guide as well. I love it. Of course, toys is one place where DC was still dominating at this point. Perhaps, after having already discussed the Marvel and X-Men Series I figures, Cunningham's only options were to go vintage or (gasp) discuss DC's three current toylines. He already discussed 1984's Secret Wars and Super Powers figures last issue, so now he's going even further back. Shipping for the Month of October: Harbinger #1 and Solar #5 get a prominent cover displays. Solar has been featured here each month thus far. Apparently, some folks at Wizard were already taking notice of Valiant, though it's still a while away from getting noticed at the front of the book. Gamepro: So now the video game section has been outsourced to Gamepro Magazine. Sure enough, they focus on comics related games whereas last issue's "Gamesmaster" did not. Top 10: All ten choices are still Marvel, even though the Market Watch section clearly shows with hard numbers that this was not representative of what was changing hands most often from the back issue bins. It's all X-Men and Silver Surfer here. Top 100: Marvel does dominate in current issue sales. A lot. The Top 13 are all Marvel. Picks from the Wizard's Hat: Gasp! Robin II gets first listing here! Sandman Special gets the third. Batman/Judge Dredd gets the fourth. How do you reconcile this with the Top 10 section from two pages earlier that tried to tell us that all anyone was interested in grabbing was X-Men and Silver Surfer comics? Letter Page: Finally, these look like legitimate REAL letters from readers, commenting on the content of the first issue instead of asking insipid questions about comics. As a kid, I always loved seeing the envelope art. "It's Academic," by Henry T. Colonna III: Wizard is still maintaining a small section at the very back of the magazine to cater to mature collectors. This interview is with the author of "Comics Librarianship," which was featured in this space last issue. 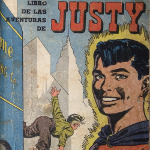 "A Bold New Direction," by Vincent Bartilucci, speaks to older readers about the long history of comics being significantly altered/rebranded to attract new audiences. What an appropriate time (and appropriate magazine) for printing such an article! "John Byrne: Back to the X-House," by Patrick Daniel O'Neill: I can't figure out what this is doing at the back of the book. I guess Byrne was old news at this point, and only older fans (reading this section of the book) would care who was WRITING a comic these days. Byrne comes off as arrogant as ever, and makes no effort to conceal the fact that he intends to change everything from Day One. He even outright says he intends to bring all the characters back to where they were when he left them a decade earlier. Wow. "Wolverine: The Man Behind the Claws," by Andrew S. Harris: The final article feels inappropriate for the back of the book, as the intended audience is clearly a younger, less well read readership. It's entirely, overly simplistic point is that Wolverine isn't some deranged killing anti-hero anymore; he has a long history of having matured/calmed down. Maybe Shamus and his editors realized younger fans would find little interest in such a message. It wasn't until I read the Market Watch section of this issue that I began to realize just how extreme Wizard's bias towards Marvel was at this point. it's easy to assume that, with the buzz surrounding McFarlane's Spider-Man, X-Force #1, and X-Men #1, DC just wasn't doing anything as comparatively exciting at this point, but there's Robin and the upcoming Robin II, the Batman crossovers with Judge Dredd and Predator, the Batman Returns film and Animated Series in production, Armageddon 2001, and (yes) Lobo. To so thoroughly ignore these things to the extent that they aren't even referenced as afterthoughts in some article towards the back of the book until issue #3 tells you something. And what do we make of the fact that Wizard's first ever interview about a DC property was reprinted by permission from another magazine? Who's choosing not to have a relationship with whom, here: Wizard or DC? I remember asking about Wizard in a comic shop and the owner said it wasn't for me since I wasn't an "investor" and I only read DC. I can hardly argue as of these issues that you've reviewed (coupled with not started reading Wizard this early) that it does seem to favor Marvel. And I guess I might could agree that Wizard is attempting to influence the market, but not to look a needle in the eye, but isn't it the fault/responsibility of the fanbase for what shaped (and continues to shape) the industry at the time based on what they buy? I was completely new to comics mid 90's with no knowledge other than Spiderman, X-Men, and Batman animated shows, and I bought what I bought, some for what they advertised, and some for what I was recommended through other sources. Some worked for me, some didn't. I have a lot of #-3ish of different series because I tried something they pumped and didn't like it. There were some things I did like that I may not have bought given there being no other exposure of a particular title. I also, because of Batman:TAS and motion picture, jumped into Batman from day two of buying comics with Batmna, Detective, and LOTDK, despite the lack of DC exposure. I don't want to come off as arguing a point that time has passed by. I just don't agree (and can agree that being new to the industry at the time might have made me a bit naive) that the 90's is the catch all for ever blunder made in the industry up to this point, nor Wizard being the culprit being some machiavellian plot to overthrown the comic kingdom. Mostly because unlike a true dictatorship or hostile takeover, any one person could read or not read it, and still read it and accept or not accept it's contents. Not pointing the finger at you Shaxper, but just saying out loud, I think we give Wizard more credit than it deserves in what became of the comic book industry in the 90's. I bought and saved many,many fanzines from the early 70s and on. The original Alter-Ego,Rocket Blast Comic Collector,Comics World,Comics Interview,Amazing Heroes,The Comic Reader,Comics Journal and on and on.There were only 2 zines I would never save-One was CBGB.Probably because I didn't want to save a newspaper format that was too large and might quickly turn yellow or brittle. I never really quite understand the Wizard's purpose as a guide to Comics and I did brought about 12-16 of these magazines from my Comic Book Store and after keeping them for 2-3 months afterwards - the magazine's value is practically worthless and like Ish Kabbible said I end up throwing the magazine away. To me, it's not a practical magazine to have and having said that it's more like a newspaper to me and we don't save our newspapers at all. So, having said that - I don't buy any of these magazines at all anymore! Wow. That just about breaks my heart. Here's hoping he was one of the thousands of LCS owners who ended up on their butts after the collector bubble burst. I read that as the owner basically trashing Wizard. If he was admonishing you for only reading what you like and not looking at the hobby as an investment, then yeah he's awful. Fun fact: I typed "wonder" while trying to type "owner" SEVEN times trying to make this post. He's the founder and President of Avatar Press. [but isn't it the fault/responsibility of the fanbase for what shaped (and continues to shape) the industry at the time based on what they buy? Of course. If someone tells you to jump off a bridge, and you do it, you're an idiot. I'd still like to know what jerkface told you to jump off the bridge in the first place. I do believe the '90s was uniquely bad for the industry. Comic books had always been a business, but this was the era where the industry truly learned how to adopt the worst behaviors of big corporations in order to better manipulate customers and turn over a shoddier product. Worse yet, it was a severe and lasting disruption in the continuity of the industry. Back in the 1990s, the comics from two decades earlier MATTERED. They contained continuity and developments that still affected the new comics on the racks, and they were sought after as a result. Ever since the anything-to-make-a-buck-THIS-month mentality that began in the 1990s, that continuity and legacy is gone. No one reading a book now has any interest in what happened in 1995 because every major event since then has been trumped by an even bigger one to the point that it's all white noise now, and every major turn of events has been undone, redone, and then done again in order to boost more short term sales. Gwen Stacey or Jean Grey dying would have absolutely zero impact on the comic world today -- just another hyped event that will soon be undone. The '90s gave us that. nor Wizard being the culprit being some machiavellian plot to overthrown the comic kingdom. Mostly because unlike a true dictatorship or hostile takeover, any one person could read or not read it, and still read it and accept or not accept it's contents. I don't believe for a second that Wizard planned to overhaul the entire industry. I doubt anyone expected the amount of success and impact Wizard would ultimately have. However, I do continue to suspect that there were people behind the creation of Wizard who had a strong interest in supporting Marvel. I continue to approach this thread with a question in mind, not simply seeking validation of an answer I've already arrived at. I remember Wizard as having strongly guided the opinions and buying habit of myself and nearly all of my adolescent friends at the time, but we may have just been dumber and more gullible than the general populace, and I definitely see a thoroughly shady bias towards Marvel in these early issues, but that will definitely fall by the wayside once Wizard starts obsessing over Image and Valiant. In short, we'll see. Ha! Then I guess mars' reading of his words was accurate. I took them as him looking down on you for not being a speculator who was going to bring him more sales. And really, that helps to answer the question of how Wizard got as big as it did. It was in a profit-driven LCS's best interest to push a magazine that was going to convince you to buy fifteen copies of every hot book coming out the next month. Thankfully, as is evident from your anecdote, not all store owners felt this way. No, your reading of the situation was accurate. Good thing I don't read anything from Avatar Press anymore.